Dear Clients! 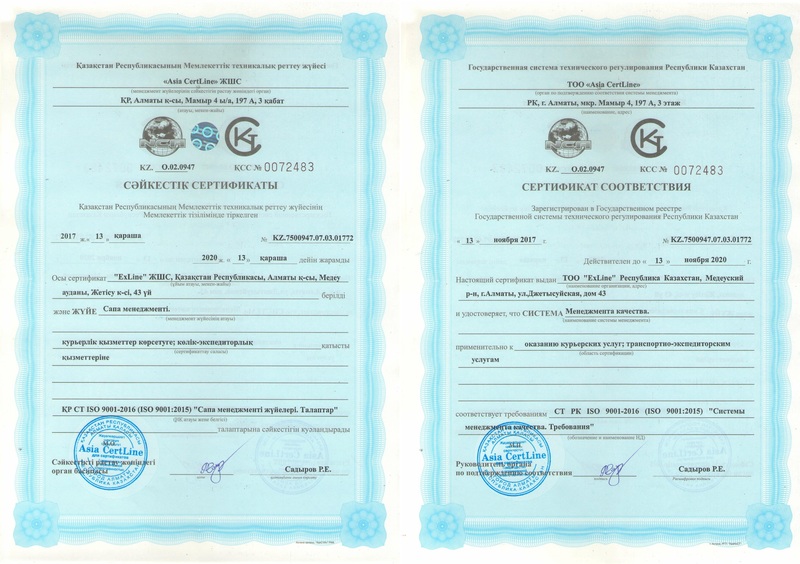 We inform you that the regional office of the company "ExLine" in Kostanay c April 15, 2019. will be located at a new address: Kostanay, st. Al-Farabi, 121/1. Tariff reduction in some areas. Dear Clients! We are pleased to announce that from February 1, 2019, ExLine LLP will make changes to the division of zones by region and reduce tariffs in some areas. So gg. Balkhash, Zhezkazgan, Semey, Ekibastuz are transferred from Zone 2 to Zone 1 and will be charged at the tariffs of Zone 1. Reduction of tariffs for standard shipment in the RK. Dear Clients! 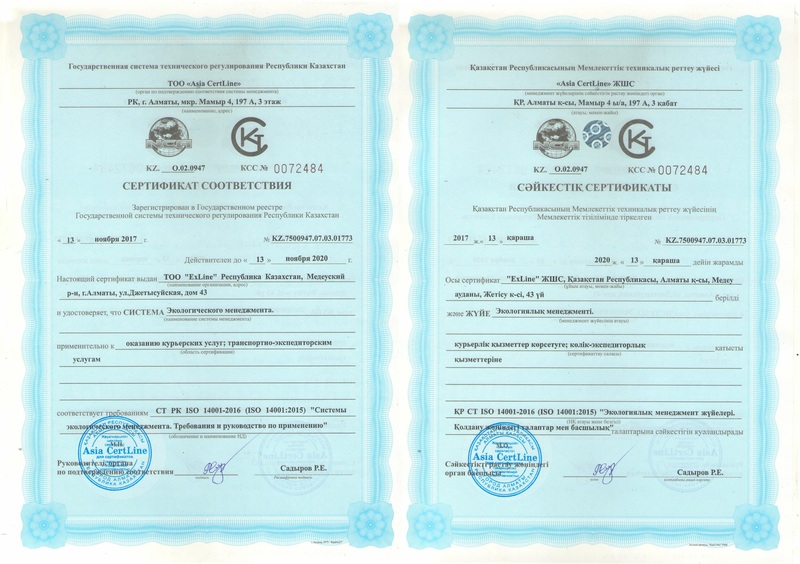 We draw your attention to the reduction of tariffs for sending shipments in the Republic of Kazakhstan for customers sending shipments without contracts from February 1 of the current year. For additional questions contact the sales department at 87273900300 вн.1151,1153. Dear Clients! We inform that from January 10, 2019. 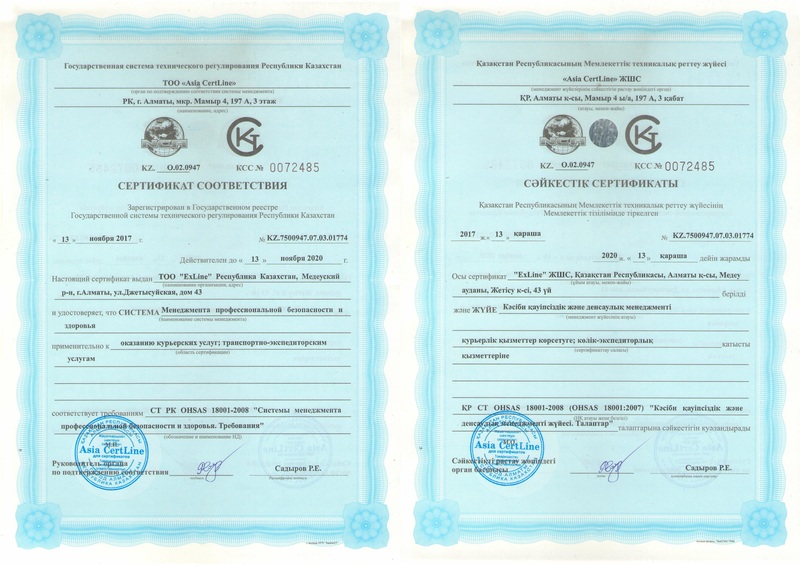 Reception of shipments with a “standard / non-urgent” type from clients who do not have contracts for the provision of courier services has been renewed in all divisions of the company. Reception of shipments with the express / urgent type of shipment remains unchanged. Dear Clients! From December 10, 2018 Sending gift sets containing any drinks, candy, cosmetics is exclusively of the Express / Urgent type, with the obligatory use of special additionally paid packaging (foam plastic, bubble film, corrugation, at the inner corners of the packaging of a stiffener, woodwork, etc. ), to exclude risks that exist in the winter period and taking into account the distance of the shipment, weather conditions and the pre-holiday volume of sent items. Dear Clients! In connection with the increase in the volume of items sent and delivered, as well as taking into account the deterioration of weather conditions affecting the carriage of items by road, from November 15, 2018. Receipt of shipments with a “standard / non-urgent” type from customers who do not have courier services contracts has been temporarily suspended in all departments of the company. Receipt of shipments with the express / urgent type remains unchanged. We will inform you about the changes in the conditions for receiving items. We apologize for any inconvenience caused. Dear Clients! We inform you that from November 1 of the current year ExLine LLP will make changes to the division of zones by regions. So gg. Balkhash, Zhezkazgan, Semey, Ekibastuz are transferred from Zone 1 to Zone 2 and will be charged at the tariffs of Zone 2. Pay via Qiwi terminals or Qiwi-wallet. Pay via Kassa24 terminals or Kassa24 private account. Convenient payment via Visa and Mastercard. We are trusted by the leading companies!